Do I Have To Live In My FHA Financed Minneapolis Duplex Forever? | Your best resource for buying, selling, owning and investing in duplexes and duplex homes. With the federal government offering first time home buyers up to $8000 to buy a home (including duplexes and multi-family homes) by December 1, it’s a great time to consider investing in real estate. However, with most conventional investor loans now requiring a minimum of 20 percent down and points at closing to buy down interest rates, it’s an even better time to explore FHA financing. An FHA loan requires the borrower to have a down payment of just 3.5 percent, and that she live in the duplex she’s buying. What if you don’t want to live in a duplex forever? What if you were hoping to move out some time in the future to buy a single family home, while keeping the duplex as an investment? 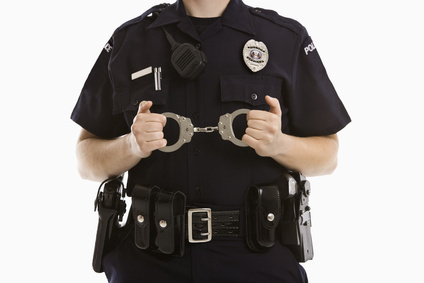 Will the FHA Police come looking for you? Relax. There’s no FHA Police. I made that up. According to Dean Schiffler of Burnet Home Loans, there is an unwritten rule with FHA loans that the owner should live in the property for at least one year. And if she doesn’t? The lender may perceive her promise to live there to have been fraudulent. This could conceivably result in penalties and fines, jail time and foreclosure. So is it possible to get an FHA loan for an additional property? Well, since it’s a requirment for FHA financing that you live in the duplex the loan is on, yes and no. If the first property you bought has either appreciated in value or you’ve paid off enough of the mortgage to have at least 20 percent equity, you may qualify for a second FHA loan. If your family has suddenly heralded the arrival of octuplets, squeezing out of your two bedroom unit, or your job transfers you a distance that renders commuting to work unreasonable, the lender may grant a second FHA loan. Of course, it’s always a case by case basis and not something to necessarily count on. A qualified loan officer should be able to guide you toward a reasonable solution.